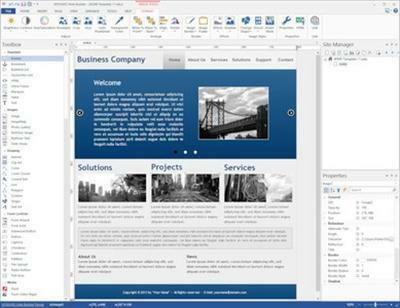 Now available: WYSIWYG Web Builder 9.1! -Visually design your website (What-You-See-Is-What-You-Get). -No HTML knowledge required! Just drag &amp; drop objects to the page! -Outputs standard HTML4, HTML5, XHTML, CSS3, PHP.